This is an estate blend using only grapes grown on this unique Overberg Highland’s farm. As such it reflects the different aspects and soils on this remarkable farm. Each variety has been paired with a specific soil type and slope. All vineyards lie between 390m and 550m above sea level. Because the vineyards face in various directions, with various row directions, we have been able to embrace the complexity of our farm, and so transfer that soul into the wine. Each variety is treated differently. Most are fermented apart, but as pioneers of co-fermentation in South Africa we do have a few secret combinations. Fermented wild in open top fermentors with between 15% and 100% whole bunches. Hand plunged 6 times a day. Pressed into 225 lt barrels, mostly old, for between 18 months and 24 months ageing. On the nose the wine shows typical Drift farm ripe, black berry fruit and herbaciousness, with white pepper and a touch of cigar box. On the palate the dominant ripe fruit shows a more elegant red spectrum with cherry, raspberries and plum standing above an under-layer of enticing dark chocolate and darker black fruits like mulberry. Try braaied Kudu venison with a wild mushroom source, or oven-baked aubergine, garlic and parsnip medley. 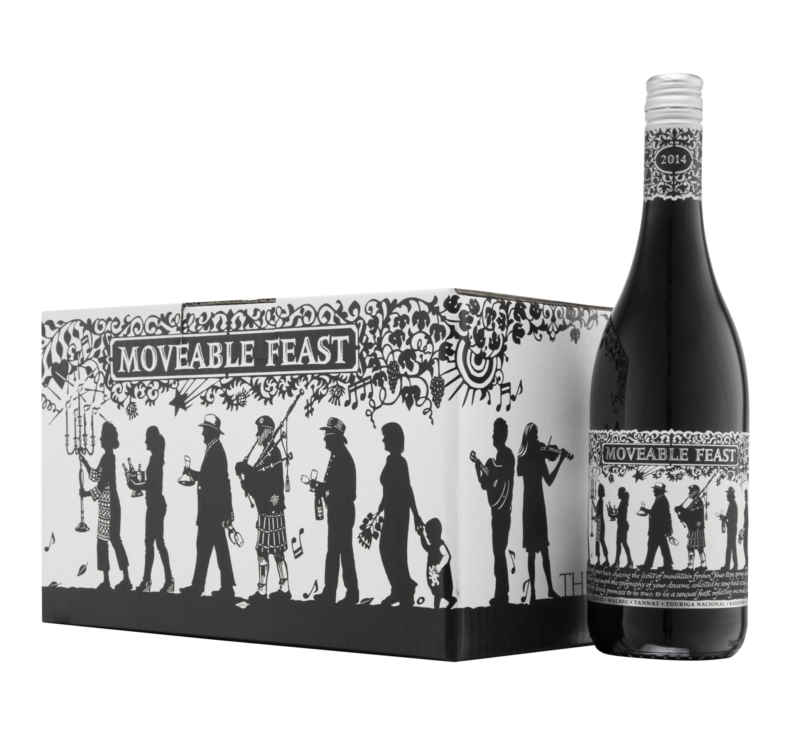 This feisty red is called Moveable Feast because the blend will alter slightly every year depending on what's in the barrels and how they perform - a blend of Syrah and Malbec with Tannat, Touriga Nacional and Barbera carefully blended in to spice it up. Beguiling ripe mulberry, white pepper, buchu (a medicinal herb from the Cape Floral Kingdom, used as a blackcurrant flavouring) one the nose, framed in a touch of toasty oak and just the faintest hint of minty caramel chocolate. Blackcurrant, dark cherry and Indian spice show on the palate. The tannins are super smooth, the finish long but alive. This wine benefits from being decanted a day or two before consuming. It will age gracefully for at least 30 years if stored correctly.